Little O has been fascinated with colors lately. She likes to name the color of everything she sees. "Blue shirt." "Black car." "Green grass." And on and on. 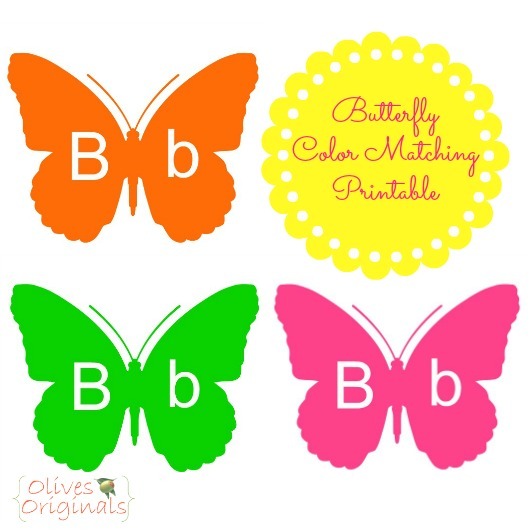 Keeping her interests in mind, I created this Butterfly Color Matching Printable to go with a homeschool preschool unit on butterflies. It's perfect since Spring is making its appearance known around here. I printed the butterflies out on white card stock and cut out each square. Then I followed the dotted line to cut each butterfly in half. She's a little young for letter recognition, but I plan on using these butterflies in the future when she's ready (and of course adding other letters as well). For now, the goal is for Little O to match each side of the butterfly with its mate. While we played, we worked on naming each color. I included the colors she knows (red, orange, blue, black, and purple) and a few she doesn't. I also added a variation on blue and purple (aqua and lavender). I thought it would be nice for her to see different shades within the same color family. During play, I set out three halves at a time. I asked her to name each color. Then, I held up one of the matches, and she placed it with its mate. She did great matching the colors. The most difficult part of the game turned out to be figuring out how to place each card to make it look like a butterfly. This became especially challenging if I switched which side I placed on the floor in the first place. I hope you and your little one enjoy this activity. I absolutely love comments, so I'd love to hear from you about how you used this printable! 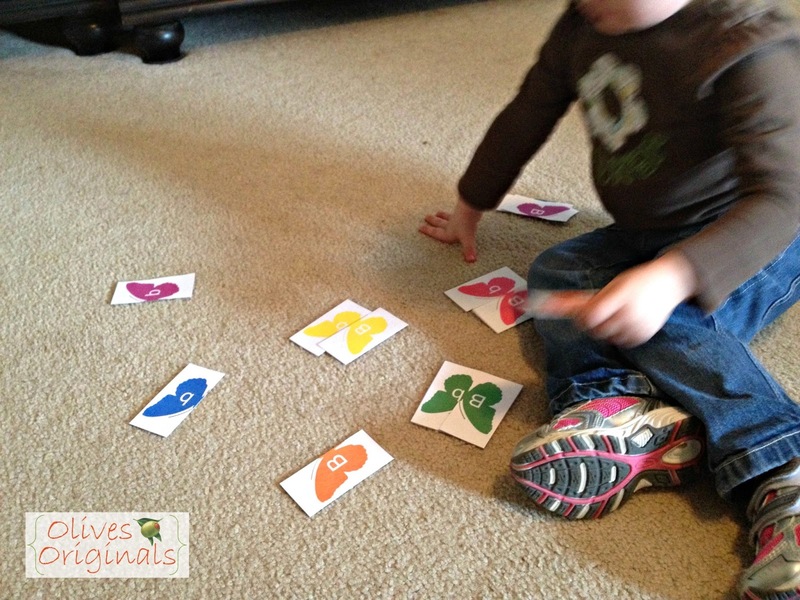 What a great idea to practice colors and letters together - love the printables! Thanks so much for linking up to Discover & Explore this month. great idea, my kids will love it.